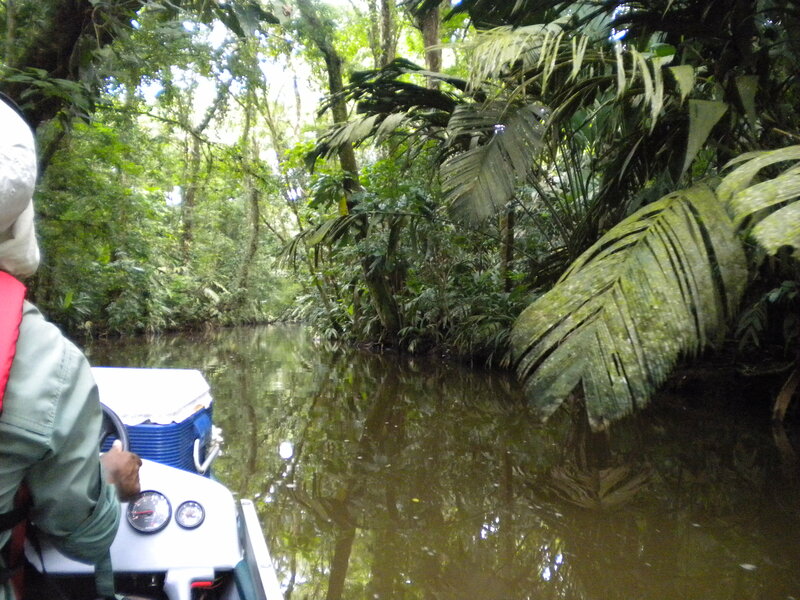 …or how I spent eight days in the jungle and lived to make you jealous of my adventures. How do you write about an adventure of a lifetime? I just returned from a week in Costa Rica, a place so different from where I live it’s hard to take it all in, so I’m going to take it day by day. Day one: actually day two because a pulled fire alarm in Dallas and weather prevented us from leaving Houston until the following evening. We were however able to spend time with family in Houston. Don’t get me wrong: I love them, but they weren’t worth missing a day in Costa Rica. So Day Two and Three: We finally get to Costa Rica, and it’s warm. And humid. Something I’m not used to in New Mexico. 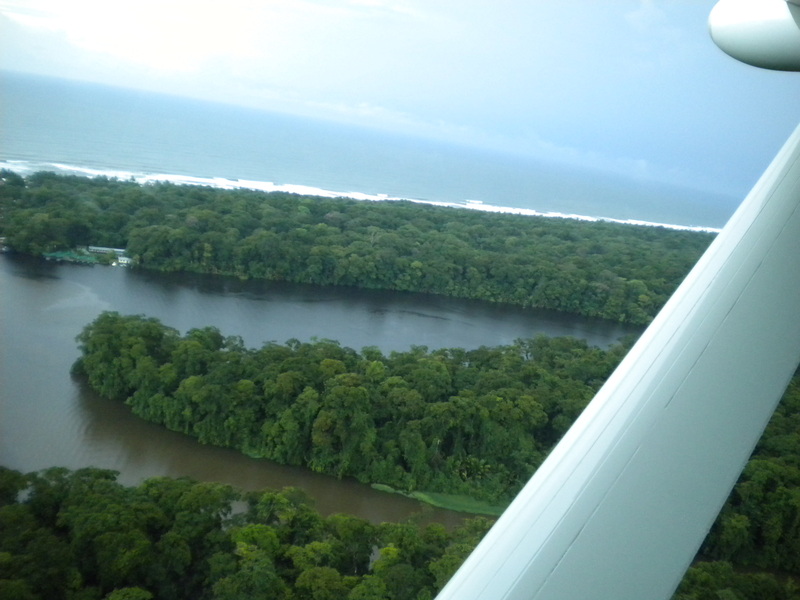 We arrived late to San Jose, slept for a couple of hours at a hotel near the airport so we could catch a puddle jumper to Tortuguero National Park. You can’t get there by car, and plane was faster. It was my first experience in a small plane, and I have to admit, nerves aside, it fascinating. Half an hour in the air and we landed in the jungle. A large tortoise or turtle of some sort was greeting us at the end of the runway. Seriously. We get off the plane and there’s a turtle. Unfortunately we weren’t there in sea turtle season, the reason the place is called Tortuguero, but they do a lot of conservation work there for the turtles. The hotel was amazing (The Tortuga Lodge) but if you happen to stay there, don’t expect insect or critter proof rooms. We had two geckos in our room that we couldn’t catch. After several futile attempts, we figured they’d eat the insects for us. A two hour hike through the jungle left me covered with mosquito bites, but not as many as I thought. Thank goodness for Deet. Nearly every five feet I saw a tiny strawberry poison dart frog. We saw macaws flying, and the biggest golden orb spiders. And at the end of the hike a group of howler monkeys called greetings to us from the trees. 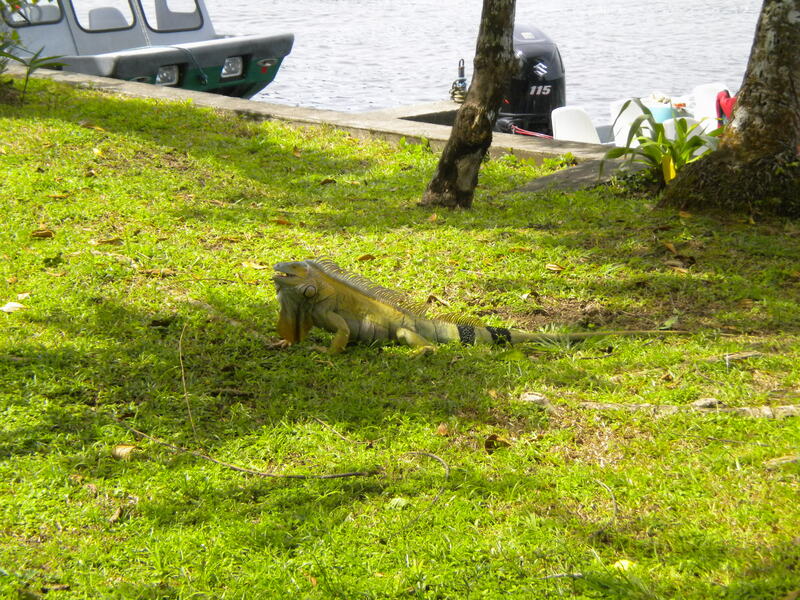 When we returned to the hotel, massive iguanas were waiting for us. In the afternoon we took a boat tour through some of the waterways of the park. On the water we saw a sloth (more about them at day six and seven), a couple of caimans, a ringed kingfisher, a green kingfisher, great green macaws, and a group of spider monkeys. What an amazing intro to the jungle. Tortuguero was the place I wanted to see most, but ultimately, I was more excited by the other places I visited (coming up in future posts). The rain delayed our flight into Costa Rica here in the states, then delayed our flight to Tortuguero, and despite rain, we were able to take off to return to San Jose and the rental car. By the way, we ate everything and drank the water without a problem. Next time, day four and five and Monteverde. Stay tuned.